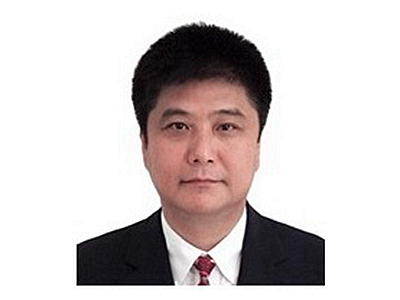 Mr. Xiaoguang Grant Bow earned his bachelor in law degree from Peking University in 1983 and he was among the earliest Chinese students studying law in the United States after China began its economic reforms in 1978. He spent 12 years in the United States and earned LL.M. and MBA degrees from top U.S. institutions, and worked in U.S. law firms and commercial banks. He also had experience in corporate formation and real estate investment. Grant began to pay substantial attention to the social, cultural and economic developments in Taiwan when he was in the United States. As a member of Chinese American organizations in Portland, Oregon, he actively participated in collaboration initiatives between Portland and Kaohsiung, Portland’s sister city. He first visited Kaohsiung in 1992 as a member of the Portland City delegation and was one of the earliest PRC individuals visiting Taiwan after China started its economic reforms. After Grant returned to China in 1995, he worked for the Grandall Law Group (Beijing) and Richard Wang & Associates (Shanghai) and obtained PRC attorney qualification in 1998. As a practicing lawyer, Grant represented local governments and state-owned enterprises in China and participated in large projects such as the public listing of Wuzhong Instrument Co., Ltd. in 1997; the joint venture of Yang-Cheng Power Plant in Shanxi Province; Hynix Semiconductor’s establishment of a manufacturing base in Wuxi, Jiangsu Province; and Universal Studio’s proposal to build a theme park in Shanghai. Grant also played an instrumental role assisting Starbucks Coffee to open its first shop in Beijing, and advised many small-and-medium sized enterprises and individuals in Europe, the United States and Taiwan on legal issues arising from investments in China. Grant participated the NASDAQ IPO listing of AsiaInfo Holdings Inc. as its general counsel and corporate secretary, and he was in charge of securities law compliance before and after the IPO and implementation of employee stock incentive schemes. He also served as a senior in-house counsel in Kodak China and McDonald’s (China), respectively, providing all-around legal support for the China operation of these renowned international conglomerates. During Grant’s tenure as a Senior Legal Director and Assistant General Counsel for McDonald’s (China), he led McDonald’s legal team to support the transformation of McDonald’s Chinese business from direct chain operation to franchise arrangements in 14 provinces. Mr. Bow retired from McDonald’s (China) in October 2014. He currently resides in Taiwan. China’s New Foreign Investment Regulations and Directory, July 2002. Corporate Structures of Foreign Invested Companies in China, August 2002. Introduction to China’s Contract Law, October 2002. How Foreigners Buy, Rent or Sell Housing Properties in China, March 2003. China’s Intellectual Property Rignts System, April 2003. China’s Foreign Trade System, May 2003. Foreign-Related Marriage and Divorce in China, June 2003. Brief Introduction of Foreign Adoption Procedures in China, July 2003. How the Foreigners Pay Individual Income Tax in China, August 2003. China Takes New Measures to Aid Vagrant Beggars in Urban Areas, September 2003. The Reform of China’s Exit-Entry Administration, October 2002. China’s Notarization System, November 2003. China’s New Compulsory Product Certification System, December 2003. Visit 15th Floor No. 28, Dongxing Rd., Songshan District Taipei 105, Taiwan R.O.C.